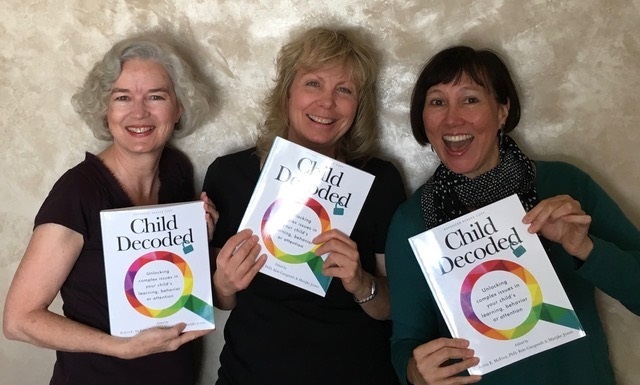 In this episode, I talk with Dr. Robin McEvoy, one of the co-authors of the new book Child Decoded: Unlocking Complex Issues in Your Child’s Learning, Behavior, or Attention. I’m excited to bring this conversation to you and give you an inside look at this book, as it’s truly a unique and important addition to what currently exists to help parents like us meet our exceptional kids’ needs. 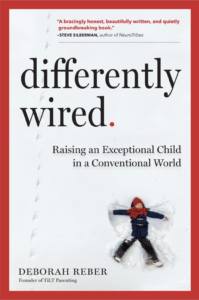 Robin, a developmental neuropsychologist, and one of three authors of the book, explains that they wrote Child Decoded to be that “owner’s manual” we all wish we had for our differently-wired child. And it really is a new kind of book, because, as you’ll hear in our conversation, it provides parents with a broader understanding of the issues that may be affecting their children—whether there’s a diagnosis or not—as well as concise information on who can help and how. It’s truly a comprehensive, in my opinion, game-changing book for parents who aren’t sure where to start or where to focus their efforts, especially for those of us whose kids have more than one diagnosis. About Robin: Dr. Robin McEvoy is a developmental neuropsychologist practicing in Denver, Colorado. She evaluates and diagnoses a wide range of learning disabilities and learning needs in chil­dren, adolescents, and adults. She then works with the family to develop a treatment plan to remediate weaknesses and accentuate strengths. In addition to her private practice, Dr. McE­voy is an assistant professor at the University of Colorado Health Sciences Center. Although evaluation is the heart of her work, Dr. McEvoy also loves the educational process – speaking to parents, schools, or other health professionals about learning, development, and parent­ing in this new age where many learning and developmental challenges are more frequent. Learn more at www.robinmcevoy.com.